Share the puzzle with your family and friends and give answers in the comments. What numbers are ??⚪ ? 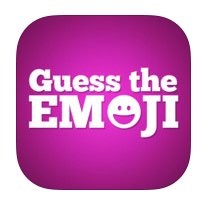 Guess Salman Khan Movie Names from the given Whatsapp Emoticons / Emojis / Symbols and give your answers in the comments. 23. 1⃣ ? 1⃣ ? NEWSPAPER – North East West South Past And Present Events Reports. COLD – chronic Oobstructive Lung disease. JOKE – Joy Of Kids Eentertainment. AIM – Aambition In Mind. DATE – Day And Time Evaluation. EAT – Eenergy And Taste. TEA – Taste And Energy Aadmitted. PEN – Power Enriched in Nib. SMILE – Sweet Mmemories In Lips Expression. BYE – Be with You Everytime. Kisi ek shakhs ka pura nam kisi b ek number k samne likho! Then i’ll tell you ki wo aapke bare me kya sochta/sochti hai. jhonny’s mother had three children. what was the third child name..?? Now question is… “what is d total minimum time required by all 4 friends to cross the bridge…. ?